It’s nearly time for gardens to come alive again. If you have recently moved, or want a change, you may be thinking how best to use your plot when it gets warmer. b) your needs and tastes: who uses the garden, what do they like doing and what style do they like? And what if you don’t know what style or features you want? Designers put together ideas onto a ‘mood board’ to show clients what a garden could look like. You could do this yourself, from magazines. Nowadays, however, there are some ingenious ways of doing this online. ‘Pinterest’ has many ideas– you set up a ‘board’, then either from Pinterest or elsewhere online, ‘pin’ photos onto your board. You can then edit it to something that feels harmonious when you view all your pins together. NB: Beware idea overwhelm on this site, there are so many! ‘Houzz’ is another of these sites, focussing on house and garden, with ‘ideabooks’ to collect pictures together. 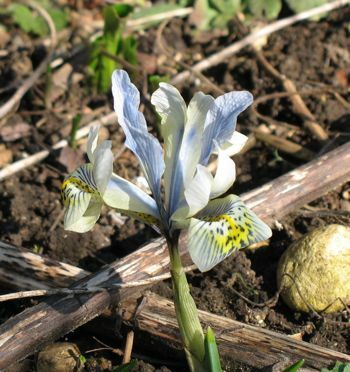 For suitable plants, the ‘inspiration’ page of Crocus is useful. And Shoot has plant and layout information from real gardeners about their gardens, sometimes with lessons learnt. Once you are inspired, you can design a plan yourself, or find a designer to help you. I can usually visit clients in South Northants. and elsewhere provide a postal service – see the rest of my site or give me a call on 01327 860350. Good luck!